You may believe that Chrome is top dog for security – it was certainly the undisputed champion of browsers at Pwn2Own earlier this year – but Microsoft’s Edge has just been rated as the best browser for defending against phishing websites. NSS Labs conducted the research in question over a period of 23 days, testing some 36,120 separate instances which involved accessing a total of 1,136 suspicious URLs across three major browsers: Chrome, Firefox and Edge. Edge dealt with the vast majority of these phishing sites and came top by a country mile, blocking no less than 92.3% of the dodgy links. Chrome was some distance behind on 74.6%, and Firefox was lagging at the rear on 61.1%. Edge also came top of the tree when faced with new ‘zero-hour’ (i.e. freshly unleashed online) phishing threats, blocking 81.8% compared to 58.6% for Chrome, and 50.7% for Firefox. Interestingly, NSS Labs further observed that a locked-down operating system didn’t make any meaningful difference when it came to phishing protection. 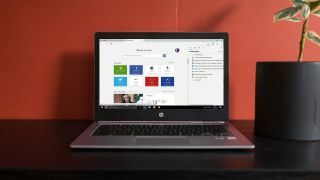 In other words, during testing on different platforms, Windows 10 S didn’t perform any better than plain Windows 10 for Edge, and in the case of the Chrome browser, that didn’t do any better on a Chromebook (Chrome OS) compared to Windows 10. Underlining the point that these locked-down systems are more about defending against rogue software. And of course, this highlights the fact that the browser’s ability to block phishing threats really is crucial (although it also helps, naturally enough, to have a user with a suitably canny disposition when it comes to evaluating links). Obviously, this will be welcome news for Microsoft, particularly given that Edge came stone last in the Pwn2Own hacking event we mentioned at the outset of this story – so this is quite a security turnaround. To compound things somewhat, Google’s Chrome browser also had some further bad news this week, with a fake Adblock Plus extension causing considerable havoc for many thousands of its users.